Fall is definitely approaching, because the air is less humid and the temperature is down -- a perfect time to take the pack for some longer walks. 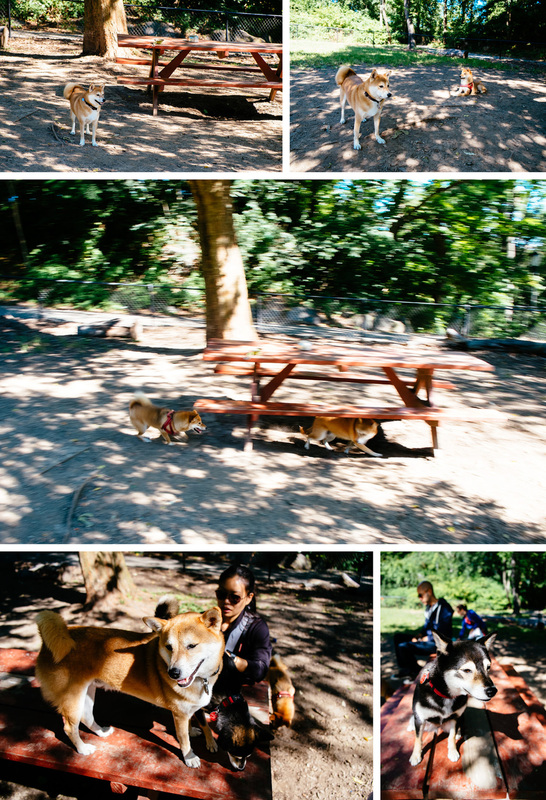 We decided to go to Fort Tryon Park, which has some nice walks as well as a decent dog-run. After playing in the dog-run, we headed towards the Cloisters. Of course, they did not allow dogs in the museum itself, but we got to see the outside of the castle.